Sometime your hair can feel either limp, dull or just needs a little TLC here are my tips and products you can use on your lovely locks to bring them back to life! Woah, this smells amazing and sinks into to your hair ever so quick. In the morning my hair feels super soft and much more manageable. I recently featured this in a favorites post. This again smells wonderful and gives my hair a big boost of life. This smells so fresh and fruity. What I like to best with this is after my hair is semi towel dried. apply one pump to the ends of my hair and rub in, next I just dry it normally with my hair dryer. In the morning my hair feel extra soft and still smells amazing! 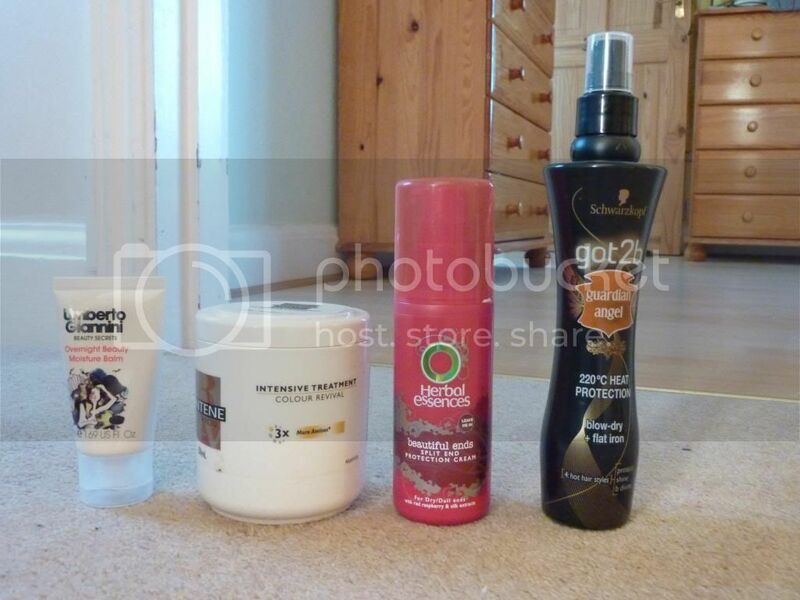 When using and sort of heat on your hair, it is best to use a protection spray. This mists really well onto the hair and shields it from the harmful heat of your styling product. What do you use to give your hair some life? Have used any of the above products, what is your opinion? Only used got2b heat protection spray, and cant say it worked. Maybe it depends on your hair type. I use Aussie 5 Minute Miracle as a deep moisture treat.